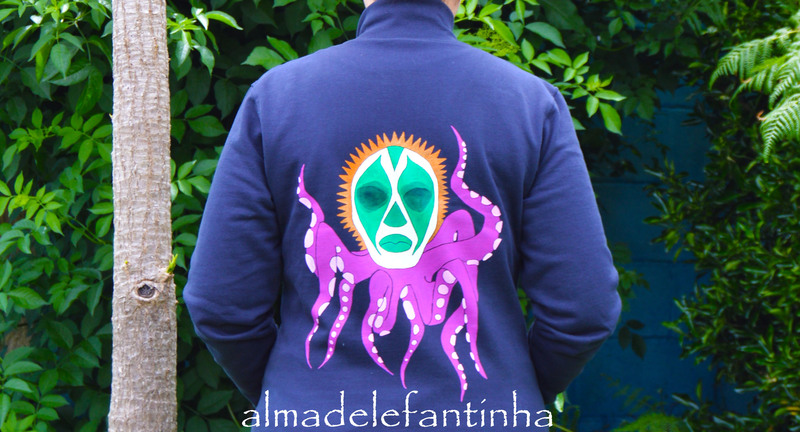 Octopus Mexican Fighter, sudadera pintada a mano by Almadelefantinha. Hecha con pintura especial para tela. 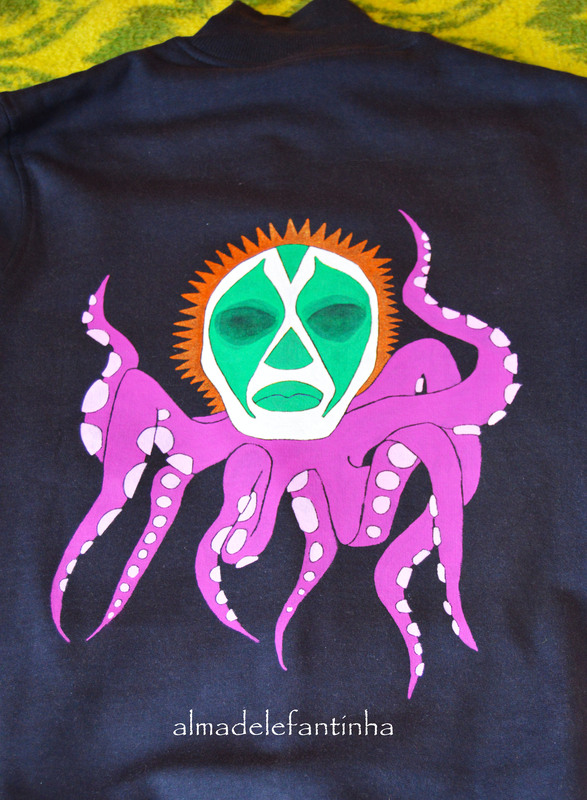 Octopus Mexican Fighter. 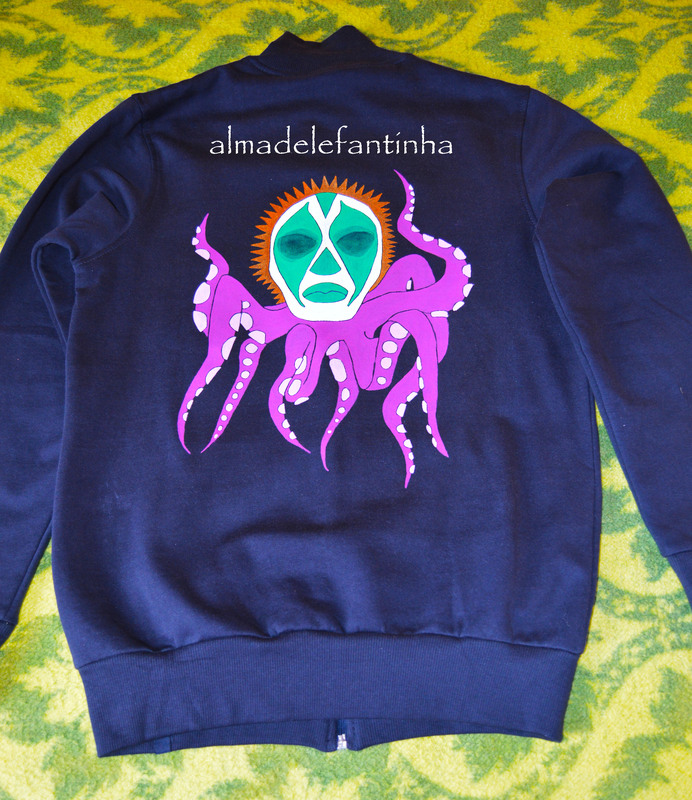 Sweatshirt handpainted by Almadelefantinha. Hand made, with paint special for clothing.